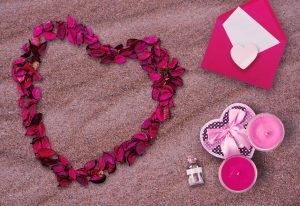 Valentine’s Day is quickly approaching and whether you love or loathe this holiday, each year February 14th marks a day where we have the chance to formally recognize and appreciate the most important people in our lives (including ourselves!). We can show recognition and appreciation in many different ways (including flowers and chocolates) but it’s important to know the difference between the two. We often use these words interchangeably when, in practice, they aren’t actually the same thing. Recognition is the way that we acknowledge specific success or accomplishment through different rewards. We might be recognized at work for meeting our sales goals with an end of the year bonu$. We might recognize our children at home for getting an ‘A’ on their homework with praise. But, next month our colleague might beat our sales goals. And tomorrow, our child might get in trouble at school. The problem with recognition is that the spotlight can only shine on us for so long before it’s someone else’s turn. And that’s not inherently a bad thing. Studies have shown that recognition efforts in the workplace boost morale, motivate, and engage employees. But most importantly, these studies also show that ‘recognition-rich’ environments have the greatest impact. And these are the cultures and climates that prioritize appreciation as a core value. So, how do we show our family, friends, and colleagues that we appreciate them? Dr. Gary Chapman believes that that there are five distinct “Love Languages”: Words of Affirmation, Quality Time, Receiving Gifts, Acts of Service, and Physical Touch. These ‘languages’ are the different ways in which people give and receive love. Now, ‘love’ in this context can be a romantic love, platonic love, or as we’ve been exploring, appreciation and recognition. We all have a language or two that we are better versed in than others and that is our preference. You can take an assessment online to determine your preferred love language, but you also might already have a pretty good idea yourself. For me, I know that I prefer to give and receive love through Quality Time. At work, I don’t need words of affirmation or praise to feel valued by my employer or my peers, it actually makes me pretty uncomfortable. Instead, I’d much rather have the opportunity to engage meaningfully with my team inside and outside of the office – whether it’s a really energizing brainstorming session in a meeting, teambuilding at a local escape room, mentorship opportunities, or staff development days. This is important for my team to know about me! When we can show meaningful individualized appreciation for people then they will be more likely to be responsive and to feel motivated. That being said, what’s even harder than determining your own personal needs is effectively meeting the needs of others with the right offers. My work team is incredibly diverse in terms of personality, communication styles, background and experience. It’s not a surprise that we also all have different love languages. I have to be aware that my preferred love language might not resonate with my colleague. 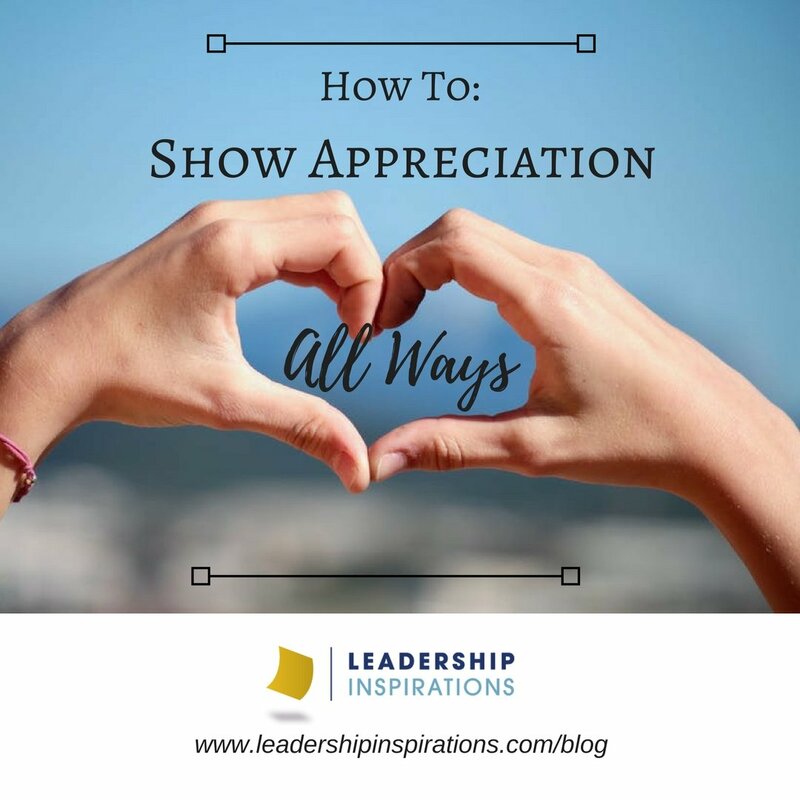 It might seem obvious, but appreciation isn’t one-size-fits-all. If we lead life with this assumption then we are setting ourselves up for misunderstanding and conflict. For example, my preference for quality time might be perceived by members of my team as demonstrating favoritism. Or, I might see someone’s preference for words of affirmation as fishing for compliments. We have to be considerate of the individual ways that people like to be appreciated or recognized because everyone has their own unique needs. This process can be especially challenging if you aren’t fluent in someone else’s preference. We might avoid giving gifts or engaging in acts of service because it makes us feel awkward or uncomfortable. But then, we miss out on incredibly easy opportunities to strengthen our interpersonal relationships and group dynamic. It’s important to know that all of these languages can be learned! Take time to get comfortable with the basics. For example, when practicing words of affirmation I start with simple phrases like “I really appreciate how you…” or “Thank you for…” You don’t have to be perfect, you just have to be honest. No matter what love language you are working to develop, make sure that your efforts are always heartfelt, genuine, and specific. Over time, these languages will become more natural for you. This fluency, like in any language, will allow you to better understand, communicate, and navigate differences with others. Appreciation is one of the simplest and most cost effective ways that you can strengthen your team and create a positive, connected company culture and climate. Like anything, it does take intentionality and practice, but in the end, learning how to do this well will only improve your relationships with others. 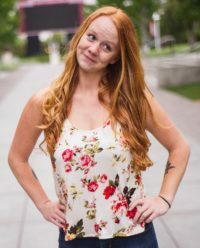 You will be more understanding of and grateful for different expressions of love, be better able to communicate your own needs, and be ready to give the forms of appreciation that people really need to feel valued, fulfilled, and motivated. 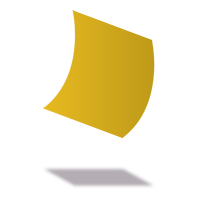 Post-It Displays of Appreciation: Use Post-It notes to spread notes of appreciation around the office. 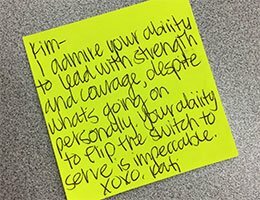 Appreciation Taps: This activity allows teammates to honestly and anonymously affirm each other and their contributions. Web of Life: Let your group feel connected and accomplished as they share their proudest moments. Teambuilding Day – Let your team play a little by taking them up on a ropes course or to a local escape room.